The first one is bound to look familiar to those who’ve read Rob’s look at the Swift PG278Q a couple of months ago. It’s called the Swift PG27AQ, and like the PG278Q, it comes in at 27-inches. And, it even includes NVIDIA’s G-SYNC technology. So what sets the two apart? As you’ve probably guessed, the PG27AQ boasts a 4K resolution. ASUS’ PG27AQ gives us proper competition to Acer’s XB280HK, although it has to be said that Acer’s display gains an inch around its girth. However, ASUS does have one trick up its sleeve: the PG27AQ is an IPS panel. For some, that factoid will sound like an angel singing from the heavens. The TN panel on the PG278Q was good, but when given the choice between it and IPS, it’s a no-brainer. IPS or not, the PG27AQ still suffers the limitation of having a single video port (DisplayPort), but for those wanting to take advantage of NVIDIA’s G-SYNC, that might be a small price to pay. Finishing the package here is a 300cd/m2 brightness and 1,000:1 contrast ratio. 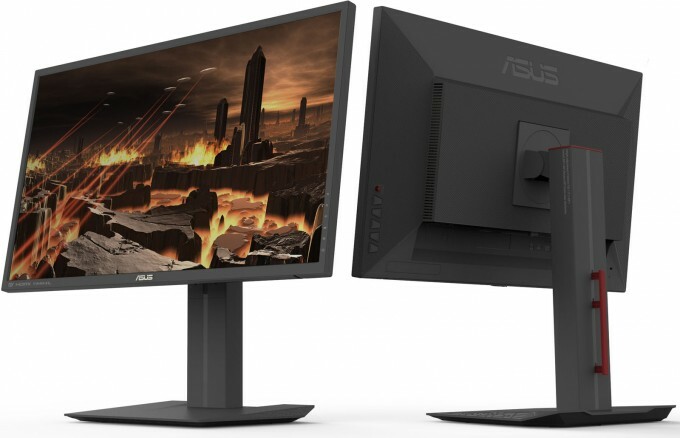 The other gaming monitor ASUS is showing off is the MG279Q. This doesn’t fall under the RoG umbrella, but it still boasts some sweet specs. In a way, it’s quite like the PG278Q that Rob looked at a few months ago. It’s 120Hz instead of 144Hz, and doesn’t have G-SYNC, but does offer a 2560×1440 resolution. The MG279Q, like the Swift displays, has an advanced on-screen HUD that can provide a static crosshair or timer, as well as other settings that could be useful to gamers. Video ports include a DisplayPort, a mini-DP, two HDMI, and one MHL 2.0 (Mobile High-Definition). You’re also treated to two USB 3.0 ports. 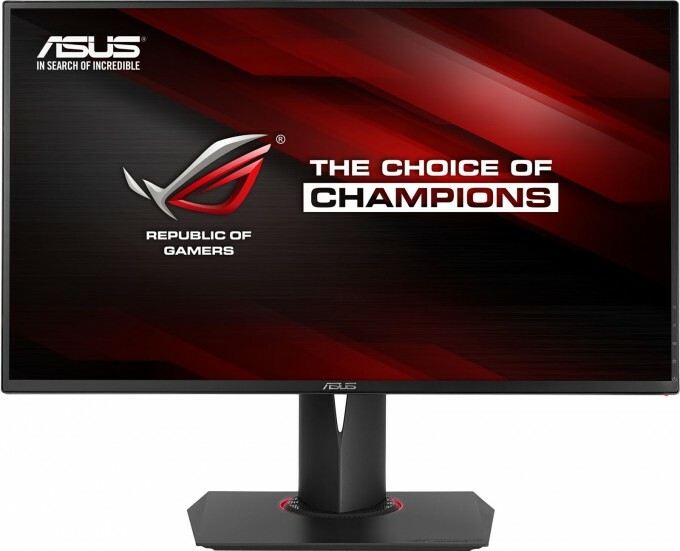 ASUS hasn’t provided us with launch details on either of these monitors, including pricing. As soon as we have that information, we’ll relay it to you.